This summer we were introduced to a great Indian food blog called Fun Food and Frolic. The author behind the blog is Hina Gujral, a food blogger, food photographer & stylist and freelance food consultant based in India. We asked Hina if she would be interested in testing one of our products – so far we’ve only collaborated with US & UK based food bloggers, so this was a new venture for us too. 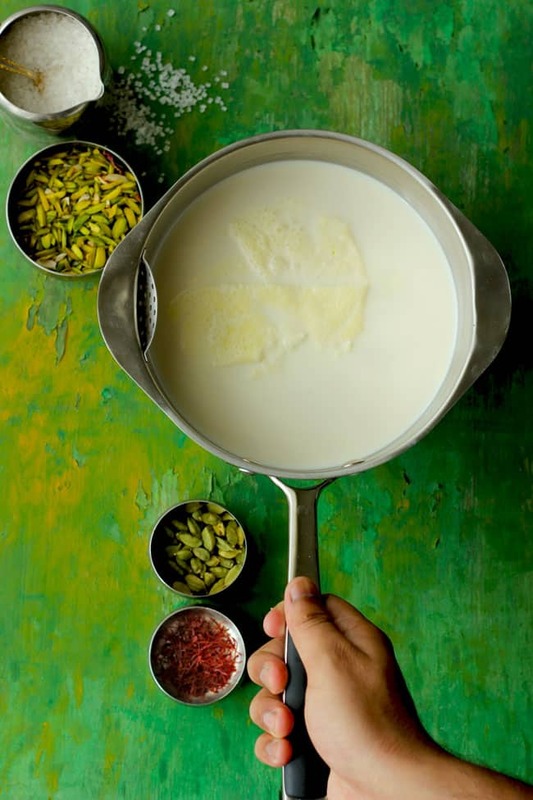 She picked the Kheer recipe, as a big part of it consists of slowly simmering milk and then slowly cooking the kheer until nice and thick. For the full recipe including a lot of georgous photographs, follow this LINK. This entry was posted in Cooking, Dessert, Saucepan, Spices and tagged cooking, dessert, saucepan, tea pan.